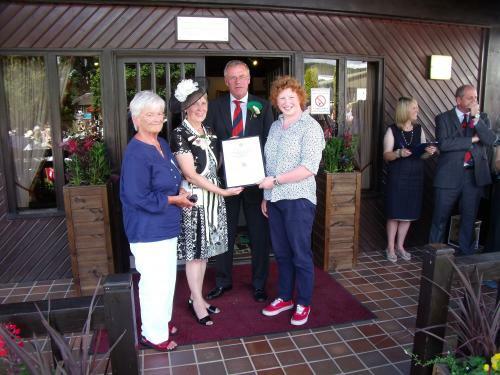 At another spectacularly sunny Royal Welsh show Holly finally received her award. Holly has just completed a BSc in agriculture, conservation and environment at the university, and has already started work as assistant agronomist at Eurofins Agroscience Services (East Yorkshire) on its graduate recruitment programme. Holly, who studied at Driffield School, East Yorkshire, before coming to Bangor University, said: “I was thrilled to .. to receive this award, and what an honour to be able to represent Bangor University. “The quality of teaching at Bangor has broadened my knowledge of the global agricultural industry and real enthusiasm for farming and conservation.